At the same time, drug abuse is costing the nation in other ways. The Justice Department estimates the consequences of drug abuse — "an overburdened justice system, a strained health care system, lost productivity, and environmental destruction" — cost the United States $215 billion a year. Harvard University economist Jeffrey Miron says the only sure thing taxpayers get for more spending on police and soldiers is more homicides. "Current policy is not having an effect of reducing drug use," Miron said, "but it's costing the public a fortune." The Drug Czar's Office is clearly feeling the heat from all sides - and is on the defensive. Earlier this month the progressive Dennis Kucinich , chair of the Committee of Oversight for ONDCP, called Ethan Nadelmann (director of Drug Policy Alliance),to the Committee. You can read his testimony here, summarising many of the growing public concerns. The ONDCP response to the AP broadside is worthy of some close scrutiny so I have copied the blog post in full below and annotated it with my thoughts (in bold), with a few graphs thrown in to illustrate the points. Last week, the Associated Press ran a story by reporter Martha Mendoza, whose headline read, "US War On Drugs Has Failed to Meet Any of Its Goals." Mendoza's article was prominently labeled as an "AP Impact" story, a designation that Terry Hunt, APs chief Washington correspondent said is meant to signify "something that we think has a 'wow' factor." This is what we in the UK call a ‘sly dig’; the inference is that the story has been ‘sexed up’. Immediately after the story ran, a representative from ONDCP's Office of Public Affairs responded to Ms. Menoza regarding the article. In part, we wrote to AP that we were let down by a focus that was so singular – especially since we believe there is good basis to describe President Obama's new national strategy as new and balanced. The use of the term 'Immediately' demonstrates just how threatening they find this sort of mainstream media critique, and how urgently they felt a response was required. Ethan Nadelmann writing on the Huffington Post has a rather different analysis of the suggestion the new strategy is 'new and balanced'. The budget piece is fair to focus on, but we told AP that we objected to the article's mischaracterization of current policy. A fairer and more nuanced observation would have been: This does look/sound a lot different, but the budget scenario hasn't changed overnight (it never does, in any realm of government) and it will take some time to test the Administration's commitment to the new approach. That is an interesting comment. We should certainly test the rhetoric in terms of significant resource reallocation. We genuinely look forward to that, but how long before it happens? We can only judge on actions, not aspirations. The emergence of prescription drug abuse has upended many traditional assumptions about drug abuse. Has it? In what way? Because is doesn't fit neatly in the punitive drug war paradigm? The article did not address whether legalizing/decriminalizing drugs, posited in the story as a responsible alternative – works, or why, if it does, more countries haven't taken this approach. It is ironic for ONDCP to be calling for evidence of whether alternatives ‘work’, when they have systematically failed to comprehensively assess the efficacy of their own enforcement led policy. "It is unconscionable for this country to continue to carry out a public policy of this magnitude and cost without any way of knowing whether, and to what extent, it is having the desired result. Our committee strongly recommends that a substantial, new, and robust research effort be undertaken to examine the various aspects of drug control, so that decision-making on these issues can be better supported by more factual and realistic evidence." Now, I’m well aware that this is ONDCP rhetoric but let’s, for a moment, treat it as if ONDCP is asking a genuine question. First, what is the evidence that decriminalisation works? Well, there’s plenty of evidence from the many countries/states that have decriminalised cannabis (including 13 US states), as well as many more that have decriminalised possession of all drugs, such as Portugal. Its imperfect data but not insubstantial. Have the ONDCP reviewed or published anything on it? No. What about legalisation and regulation? Well, we have the legalisation and regulation of alcohol at the end of US alcohol Prohibition 1920-1933 as a useful touchstone here - the 75th anniversary of which was the subject of Congressional celebrations in 2008. We have extensive experience with quasi-legal cannabis supply in the Netherlands, and indeed in the form of medical supply, in the US (full legalisation and regulation of cannabis being the subject of a Californian ballot this coming November). We have decades of experience with prescription models for opiates and stimulants (including heroin and amphetamines) for dependent/problematic users. And in the wider public sphere, extensive experience in regulating and controlling a range of potentially risky products and activities. Its what Governments do, its one of their primary responsibilities, and they can be quite effective at it. But Transform believes we still need more evidence to help the policy making process - we are moving into new territory after all - and that we should conduct Impact Assessments at all levels (local, national and international) to compare and contrast the various policy options; a full scale Drug War, Kerlikowski's re-branded drug war-lite, the various options for decriminalisation, and options for regulated markets. We call on ONDCP and its committee of oversight to conduct just such an exercise in order to assess which is the most effective way forward. Legalizing, taxing and regulating tobacco, alcohol, or prescription drugs has been unsuccessful in curbing the public health consequences of the increased use of those drugs. The inference here is that decrim/legalisation would increase use and create a public health disaster. To really respond to this throw-away line requires a much more detailed analysis (there is some more discussion in Transform's 'Tools for the Debate' p.47) but there are few points to highlight here. Firstly, it is fair to turn it around and ask whether prohibition has been effective at reducing use or creating its goal of a 'drug free world'. The past five decades would suggest unambiguously not. Has the drug war improved public health? The evidence for a deterrent effect associated with punitive sanctions on drug users is marginal at best (explored in more detail in Transform's 2009 CBA report). 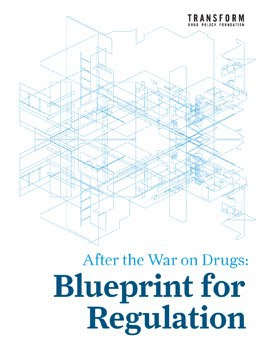 If anything, the evidence suggests that the punitive dimension of drug policy is largely irrelevant, and that levels of use and misuse are primarily determined by a complex interplay of social, cultural and economic variables. You can't legislate away drug use, much as Tsars through the decades might wish to. Public health improves when public health is prioritised in the policy making process. With regard to the US lack of regulation of alcohol, tobacco and prescription drugs, public health has long taken a back seat to unprincipled profit seeking behaviour of Big Pharma/Tobacco/Alcohol - that naturally aims to maximise consumption. Were the priorities to shift, we might begin to see significant reductions in legal drug related public health problems. Witness the achievements of improved tobacco regulation (combined with effective public health education) over the past three decades in the UK - smoking rates have halved, no-one has been criminalised. Congressional efforts to reduce the sentencing disparity between crack/powder cocaine – the first concerted effort to reduce any mandatory minimum sentencing provision – have been supported by this Administration, and we are close to a breakthrough. Yes, credit where due, but this has happened only after years of NGO campaigning (including through previous Democrat administrations) and only following horrific consequences and racial injustice, that can never be undone. It doesn't deserve a medal. Not every dollar tagged "law enforcement" is spent on jailing nonviolent drug offenders. The majority of people in drug treatment programs today are there because of a law enforcement intervention, and there are more than 100,000 successful graduates of drug courts – for which there are $56.4 million requested in this Administration's FY2011 budget request. Not every dollar no, but most of every dollar. And why use the courts to administer ‘treatment’? Is that not a job for doctors? Where is the acknowledgement of prohibition's role in creating the vast illicit trade, and inflated prices, that leads to most of the offending that then results in drug users ending up in court in the first place. Quite a few people ended up in prison too by the way. Finally, this Administration's historic passage of health care reform will aid efforts to deal with the disease of addiction, as well as rules that will require insurance companies offering drug treatment coverage to provide parity with coverage for other medical conditions. It’s a medical condition that appears to affect far more US and UK citizens compared to those from other nation states – See Richard Wilkinson's ‘The Spirit Level - why more equal societies almost always do better’ for a possible explanation of why this might be. Also relevant is Bruce Alexander's ‘Rat Park’ experiment and his epic ‘Globalisation of Addiction - a study in poverty of the spirit’. And the evidence for this is…? I hope this isn't cherry picking historic high and low points on one graph from which spurious generalised conclusions have been drawn, whilst ignoring inconvenient details (like, for example, the crack and meth epidemics). We have said time and time again that demand reduction – and supply reduction – strategies can work together in a coordinated fashion to reduce drug use and its consequences. Saying it doesn't make it so. Even saying it repeatedly. Your own evidence for demand reduction is incredibly poor, and even the UNODC now acknowledge the disastrous unintended consequences of supply side enforcement - which, even according to their own data hasn't prevented drugs from becoming progressively cheaper and more available. Global advancements in research, led primarily by our National Institute on Drug Abuse, has led to breakthrough addiction treatments and advancements in our understanding of how drugs affect the brain. 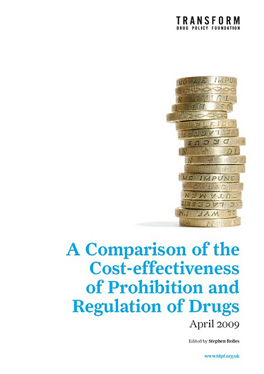 NIDA has done some useful work, but the lion's share of its budget has been dedicated to demonstrating how dangerous drug are - in doing so reinforcing the simplistic 'drugs bad, therefore ban them' prohibitionist narrative. Almost no research has been spent on evaluating the efficacy of supply side interventions, and none has been spent on evaluating alternative approaches. A biased research agenda can be just as dangerous and unscientific as biased research. The greater use of today's high potency marijuana has probably been a critical factor in the unprecedented surge among those seeking treatment for marijuana and ER mentions. Firstly the surge in treatment is almost entirely due to criminal justice referrals. Secondly the rise in potency is a result of an unregulated, profit-driven illegal market dynamic - the direct consequence of prohibition. ONDCP is using a failure of prohibition to justify its continuation, which is flat out ridiculous. While most people in jail and prisons for drug offenses are not simple possession offenders, ONDCP is leading the criminal justice field by promoting collaborative, evidence-based interventions involving testing and moderate sanctions (e.g. Hawaii's HOPE model) and drug courts. No, most people are in jail for offending to support an expensive illegal drug habit. How many are in jail for offending to buy alcohol or tobacco? This Administration is trailblazing a commitment to strengthened international partnerships - witness the unprecedented global support for US goals at the recent UN Commission on Narcotic Drugs meeting in Vienna, Austria. The US has been running the show at CND since it began. New, marginally more pragmatic instructions and a less heavy handed approach means that they will have lost fewer friends than under Bush, but this is nothing to be particularly proud of. Obviously, no one story can cover everything, but we should engage in a new discussion on why drug abuse policy is so important and what evidence-based strategies are at our disposal (there are a lot of them) to reduce its deadly toll. ‘Drug abuse policy’ – there’s a new phrase. According to UNODC, 95% of users are non-problematic, so a ‘drug abuse policy’ should only relate to the 5% with problems. That is not the case. Prohibition criminalises all users, regardless of whether they are users or problematic users. This narrative is intended to characterise all ‘drug’ use as dangerous and abusive. It sits in stark contrast to the public discourse on alcohol, that recognises that most use sensibly with a small minority developing problems. *not really a blog at all - comments are not welcome. The International Harm Reduction Association released a study on the death penalty for drug offences today on the opening day of the 19th session of the UN Commission on Crime Prevention and Criminal Justice, taking place in Vienna. The report, titled ‘The Death Penalty for Drug Offences: Global Overview 2010’ (2.4meg pdf), finds that hundreds of people are executed for drug offences each year around the world, a figure that very likely exceeds one thousand when taking into account those countries that keep their death penalty statistics secret. Last August there was a fair amount of international coverage of a new US policy involving targeted assassinations of Afghan drug lords thought to be funding the Taliban. A good example was in the Guardian; US puts Afghan drug lords on hitlist to disrupt Taliban finances (August 10). What was striking to me about this, and indeed all of the coverage I could find at the time, was that no mention was made of the legality, or indeed ethics, of extra judicial killings. Assassinations of non-combatants in foreign countries are unambiguously illegal under international law (for obvious and good reasons), and (even if we can overlook nuisance issues like due process and the impact of 'collateral' damage) it is also fair to say that killing people more generally has also been historically frowned upon. The paper, the abstract and conclusion of which are copied below (the full text is available in pdf), explores the legal issues in considerable detail, demonstrating how 'targeting people for death is not an appropriate or legal means for holding those involved in criminal activities accountable for their actions'. One additional issue not touched upon by the paper, the media coverage, or the US analysis, is oneof efficacy. Even if it were legal, it seems highly unlikely that killing drug lords would be anymore effective at curtailing production and supply than arresting them has been historically. Whilst the environment remains conducive and the profit opportuinity exists, criminal profiteers will always seek to exploit it. 'Taking out' the boss, or even 50 bosses, will only lead to players lower down the hierachy assuming the senior roles in the business. It seems remarkable that the pragmatic analysis around the futility of eradication, as expressed by Richard Holbrook in the original Guardian article ("wasteful and ineffective") is not extended to the equally pointless targeted killings policy. So to illegal and unethical, we can confidently add stupid and ineffective. In 2009, the United States announced that it had placed fifty Afghan drug traffickers with links to the Taliban on a ‘kill list.’ This controversial proposal essentially weds the counter-narcotics effort with the mission to defeat the Taliban, and challenges a cornerstone of international humanitarian law, the principle of distinction. This article argues that drug traffickers, even those who support the Taliban, are not legitimate targets according to the rules applicable to non-international armed conflict. It explores the notions of membership in armed groups, civilian status and acts that result in the loss of protection, and argues that the US plan violates international humanitarian law. Drug traffickers are clearly not ‘combatants’ or ‘fighters’ in the sense intended by international humanitarian law. They remain civilians, and as such are subject to arrest and prosecution. Organised criminals plague any number of societies around the world, but the vast majority of them should not be in the line of fire of state militaries, even when operating in an armed conflict. As such, the US military’s policy to kill suspected drug traffickers is inconsistent with multiple principles of international humanitarian and human rights law. There is no argument over the nexus between the drug trade and the Taliban. The insurgency has clearly exploited Afghanistan’s lucrative heroin trade to subsidise its efforts to topple the Karzaigovernment. Yet legitimate targeting hinges on membership in an armed group or direct participation in hostilities. While these topics are notoriously nebulous areas of international law, they have received much-needed clarification from the ICRC. The conditions articulated in that document would plainly not allow for the killing of drug traffickers due to their financial support for the Taliban. However, even before the ICRC released its interpretive guidance, the killing of financiers was established to be unlawful. There is nothing in the treaties relevant to non-international armed conflict that makes targeting sponsors of an insurgency permissible. Even the Israeli Supreme Court decision supporting the assassination of those who directly participate in hostilities explicitly removed financiers from the list of legitimate targets.